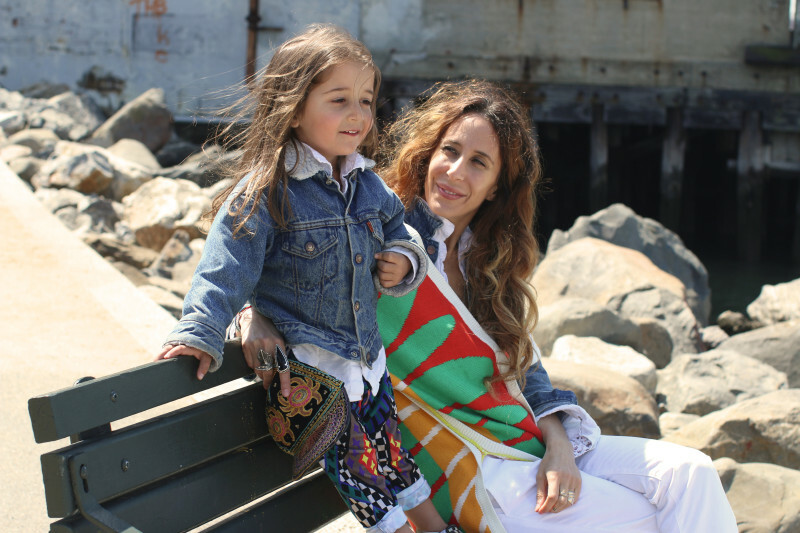 Unless you’ve been living under a rock (or have no interest in fashion), you know that Mara Hoffman is having a major moment. 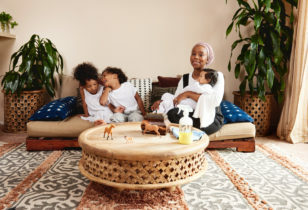 The NYC-based designer has made her name synonymous with bright, vaguely psychedelic prints and her brand is absolutely exploding after 14 years in biz, recently partnering with giants like J.Crew for a kids’ line and Anthropologie on home decor. 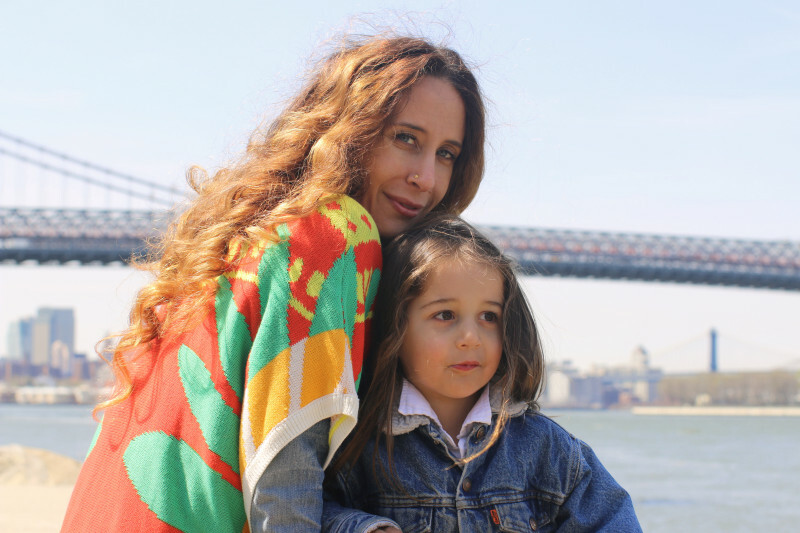 And impressively, while she’s been growing her indie empire, she’s also been raising her 3-year-old son, Joaquin, who is every bit as vibrant as his mother’s designs. 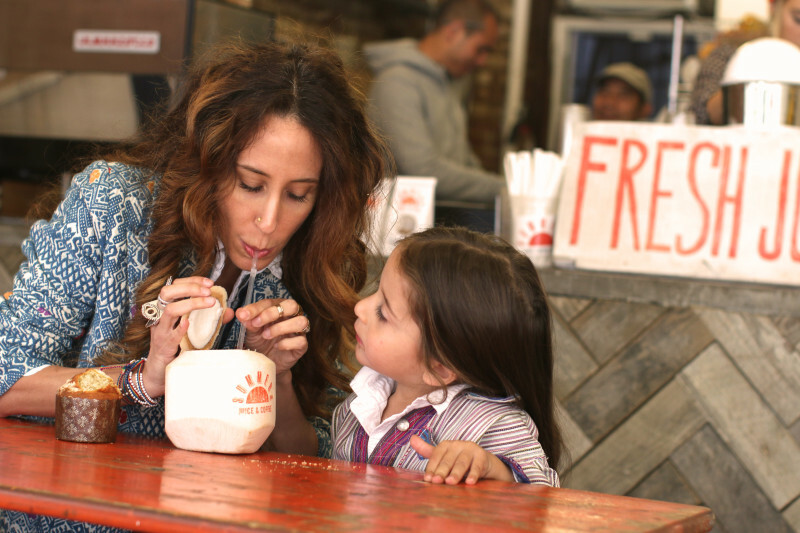 Here, we tag along on the pair’s mommy-and-me playdate, as they show us their top spots around their Williamsburg hood. Well…all the spots that would fit in before nap time. "It’s definitely taken out any possible 'me' time, but in exchange for time with the best person on earth." What was the biggest surprise to you about having a child? "How enormously and impossibly I could love another human being." Leaving the house for a little adventure. Mara wears a sweater of her own design, Frank & Eileen top, vintage army jacket, J Brand jeans, and Golden Goose sneakers. 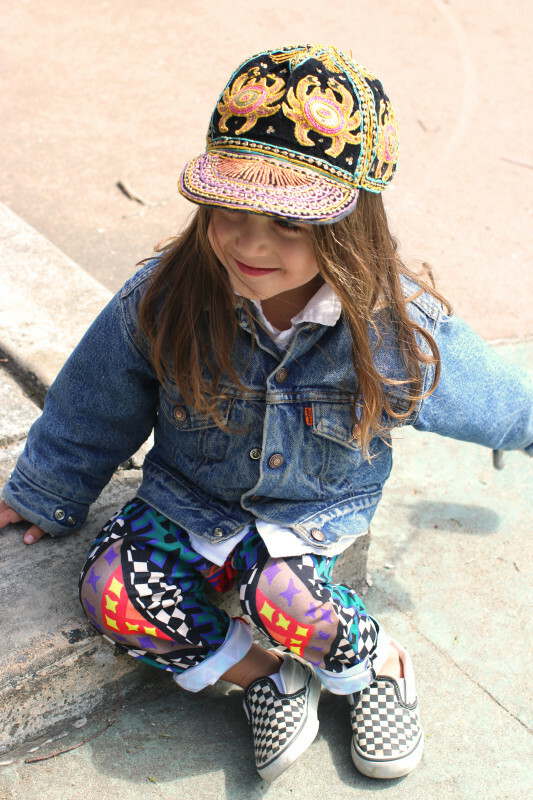 Joaquin wears a vintage denim jacket, custom Mara Hoffman kids' pants, Vans, and a vintage cap. "Watching this little being grow into an amazing person." 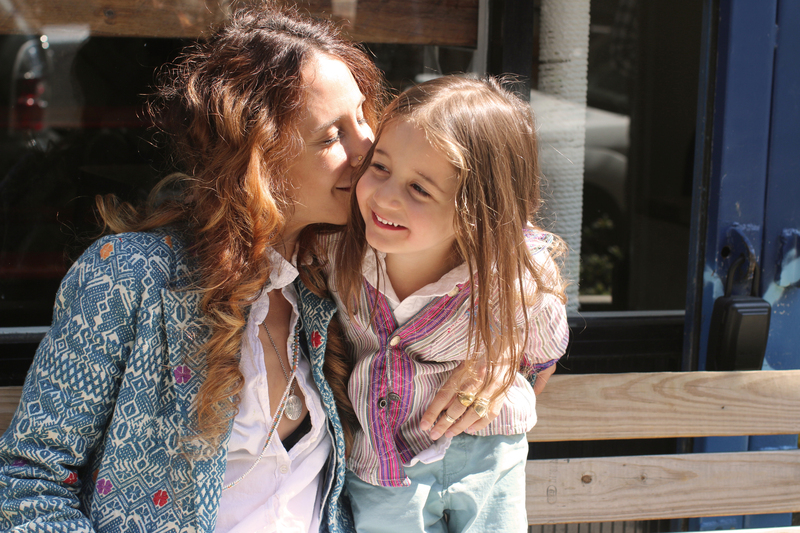 "Anything possibly ever hurting or harming my child." "My husband’s father is Cuban and we wanted a Latin name and my grandfather came from Sicily and his name was Gioacchino." What are some of your favorite things about him? "His spirit, his energy, his sense of wonderment, and his singing voice." First stop: William Sheridan Playground, on Wythe Avenue, between Grand Street and South 1st Street. "On a weekday: Waking up and having breakfast. He goes to school, I go to work, and then we meet up for dinner, bath time, and sleep at the end of the day. 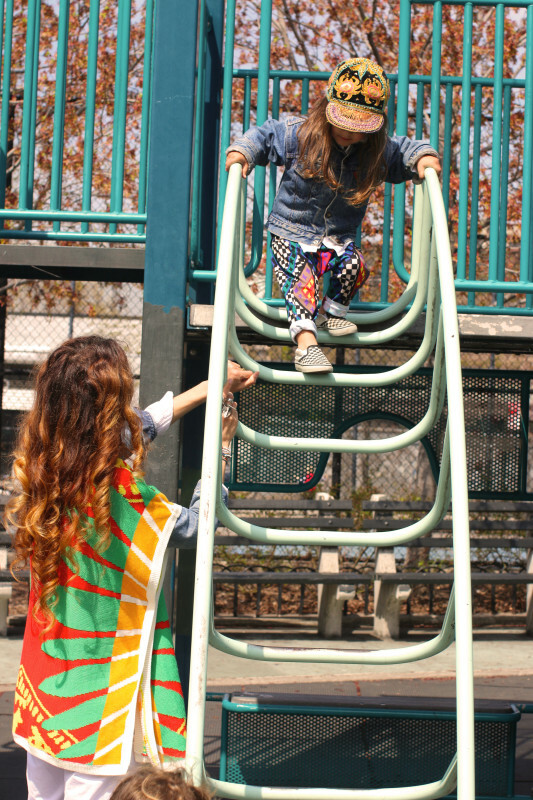 On the weekend: We cruise around the neighborhood, hit the parks, and play a lot in the backyard." "It’s just a great spot to let Joaquin run around and burn off some energy. I often know a lot of the parents there, so it’s fun to run into people to hang out with while your kids are playing. In the summer there are sprinklers, so the kids can cool off, which is great." "Joaquin loves to look at the boats and throw rocks in the water, so it’s a great destination point to break up our day and breath some 'fresh' air." Second stop: The Pier at North 6th Street and Kent Avenue. "I’m a bit of a weirdo like my mom, in a funny kind of way. My mother can cook, though, and I can’t." 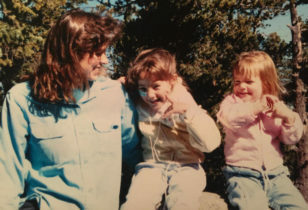 Do you have any mom icons, either celebrity or real women you know? "My own mother. She is the most major mom I’ve ever met!" What advice would you give to a woman about to have her first child? "Hold on to your hat!" "Casual, eclectic, and well traveled"
Has it changed since you've had a child? "I’ve probably gotten a little bit comfier." What pieces would you consider your staples? "My white pants and white Golden Goose sneakers." A quick costume change before grabbing juice. 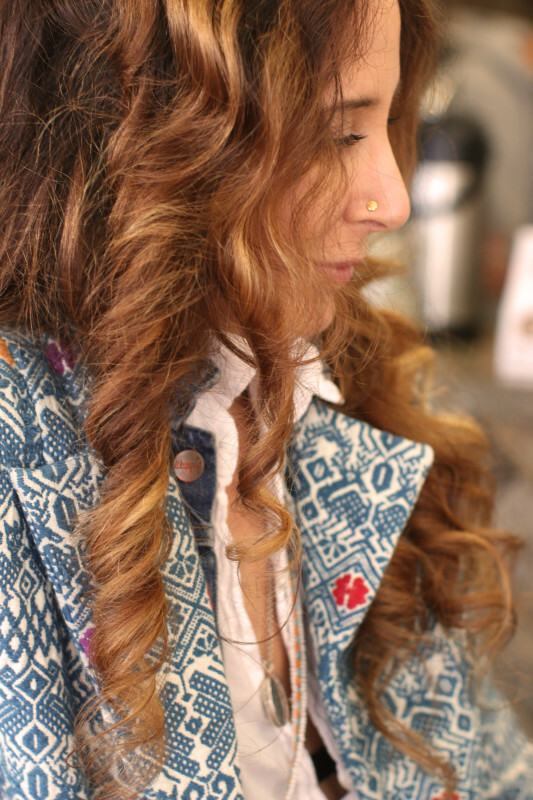 Mara wears a Guatemalan embroidered jacket, Zara jeans, and Martin Margiela Tabi boots. Joaquin a Guatemalan jacket, Zara boys’ pants, and Vans. "I shop mostly online. I’m a huge buy-and-return person. 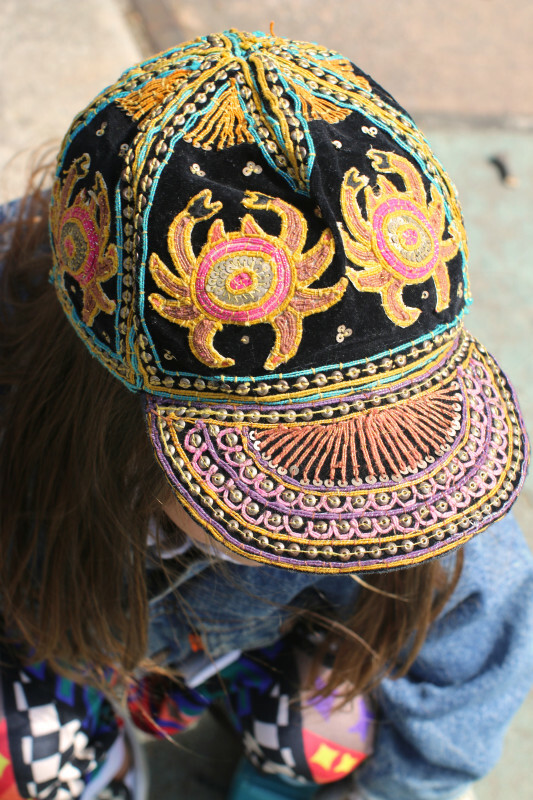 I keep usually 1/10 of the things that I buy online"
What pieces for both yourself and your kid are on your Want/Need list? 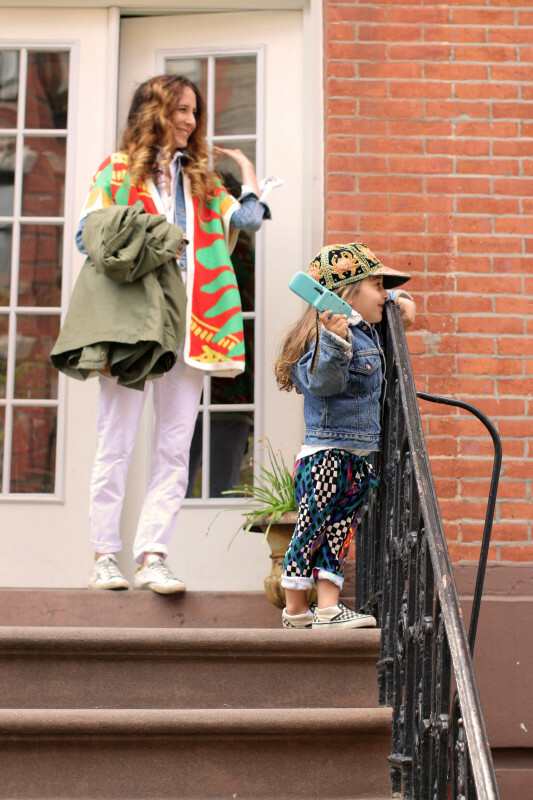 "I love getting Joaquin in the Mara Hoffman kids' pieces as much as possible. I’m looking forward to expanding that line for him. For myself, I just got the sandals I’ve been coveting for the season: Isabel Marant’s Holden sandals." 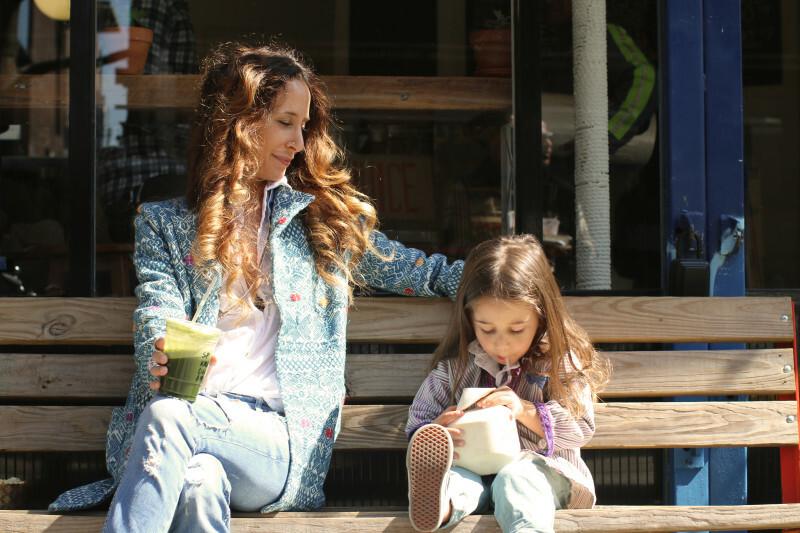 Last stop: Summers Juice & Coffee, 155 South 4th Street, Brooklyn. "Yes! I try and take Fridays off, if possible, just to get as much time with my son until he’s in school full-time." How has it been balancing caring for your son and outside work? "It’s been tough! I’m always trying to pack into a day way more than the hours allow. I’m definitely rushing home more than I did before." "Creating really rad things and working with amazing people." Any exciting career-related events coming up that you can share? "We’re really excited about the recent launch of our home line with Anthropologie. It’s also exciting to continue each season, adding more categories." "Two great guys, Alex and Taha, make great fresh juices and awesome sandwiches. They are a little bit of a surf vibe in Brooklyn." Would you ever live anywhere else? What's a typical day like, spending time in the city? "If I’m in the city, I’m usually at work. When I’m not working, I’m usually in Williamsburg with my family." 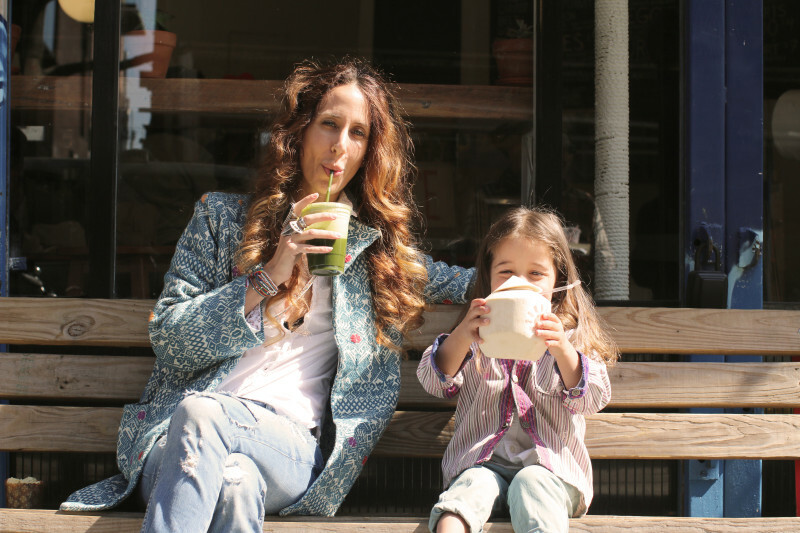 Stay tuned for Mara's extended "Mother Hoods: Brooklyn" guide in our Travel section.